The Amazon Fire Stick and Fire TV are great devices but if you live or are travelling in New Zealand you’ll find they don’t work. 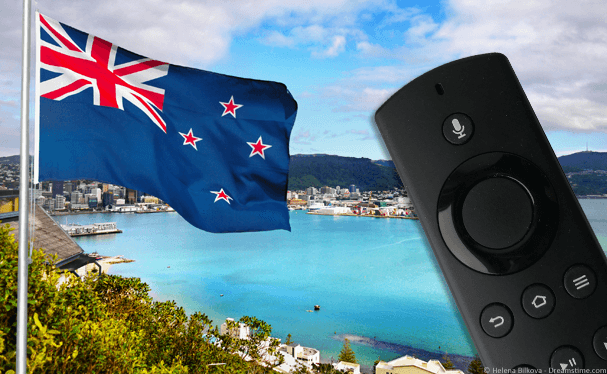 In this guide I’m going to show you how you can use the Amazon Fire Stick or the Fire TV in New Zealand in just a few beginner-friendly steps. So if you’ve got yourself a British, American, Indian Fire Stick or Fire TV or indeed one from any other country and you’re in New Zealand, this is the guide for you. While you can definitely plug your Fire Stick or Fire TV into your TV you’ll find that nearly all the apps don’t work correctly. This is because they know you’re outside their intended country. To bypass this you’ll need to get yourself a VPN service and below I’ll show you how easy it is. A VPN service comes in the form of an app you download for your Fire Stick or Fire TV. 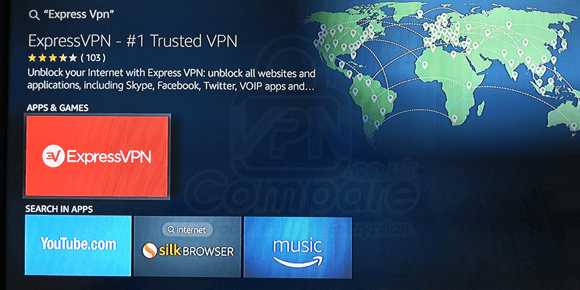 There are a handful of VPN service providers which support the Amazon Fire Stick and Fire TV. This means you can install the app directly onto your Fire Stick or Fire TV from the device itself. By using a VPN app on your Fire Stick or Fire TV you can trick it into thinking you’re in another country. So let’s say for example you’ve got a British Fire Stick or Fire TV. You want to watch BBC iPlayer in New Zealand. First you’ll use the VPN app to connect to the UK and then you’ll open a web-browser such as Firefox or Silk Browser and head over to the BBC iPlayer website. Now you’ll be able to watch BBC iPlayer in New Zealand on your Fire Stick or Fire TV. It’s not just limited to British devices either. You can connect to any country like America and watch American Netflix on your Fire Stick or Fire TV in New Zealand. Where can I get a VPN service? If you type the term ‘VPN’ into Google you’ll discover there are literally 100’s of companies around the world that sell VPN services. Not all are suitable for use with the Amazon Fire Stick or Fire TV. The majority don’t offer apps for either device. I recommend ExpressVPN because they’re one of few VPN providers that do offer a dedicated app for the Amazon Fire Stick and Fire TV. I find that ExpressVPN works with more services than the other two providers so I recommend you sign up with them. However, all three make good choices so just pick one and sign up. What do I do when I’ve signed up? Once you’ve signed up for one of the three providers above you’ll need to grab their app and use it to connect to the country you require. Just follow these simple steps below which will take no longer than 5 minutes and you’ll be set up. I’m using ExpressVPN as my example but it’s pretty much the same using IPVanish and StrongVPN too, only their layout will be slightly different. Oh, and if you’ve already signed up, skip step 1 – if you haven’t signed up, hurry up! Amazon content is waiting for you. 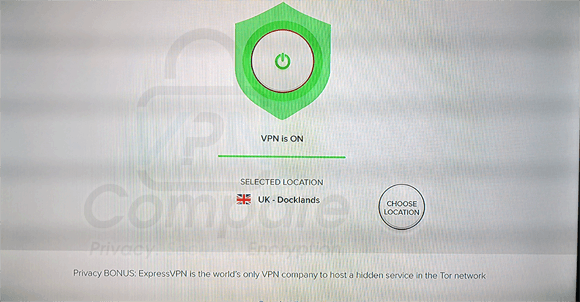 Visit your chosen VPN provider, for example, ExpressVPN and sign up for their service. Then go to your Amazon Fire Stick or Fire TV and select the Search icon from the top menu. In the search box type ‘ExpressVPN’ and click on the ExpressVPN option. Then click ‘Download’ or ‘Install’ to get the app. Once it’s installed press the ‘Home’ button on your remote control. Then select the newly installed ExpressVPN app. Login or activate it when required. Press Choose Location and then choose the country of the services you’re trying to access, eg; United Kingdom. Wait for the app to connect or press the Connect button if it’s not connecting automatically. Use the Fire Stick or Fire TV in New Zealand with ExpressVPN. Now you’re connected to the United Kingdom (or whichever country you selected) you can now open up and use any of the Amazon apps you have installed or want to install. For example when connected to the UK you can use the BBC iPlayer app, TV Player app, ITV Player app and more. Connect to the United States and you can use American Netflix, the NBC Sports app and others. Even though you use a VPN you’ll still be restricted to downloading and installing apps based on where you purchased your Amazon Fire Stick or Fire TV. If you have a British Fire Stick or Fire TV you’ll be able to install and use the likes of BBC iPlayer but you won’t be able to install NBC Sports from the US. To install apps from other regions you’ll need to follow the steps below. Go to your regular Amazon site and click My Account. Then from the “Digital content and devices” section select Content and devices. Then press on the Preferences tab. Next to “Country/Region settings” press the drop-down arrow. You’ll see your currently registered country. Press the Change button. You will have to enter a fake address from the country you want to change to. Try using FakeAddressGenerator to get one. You can now install apps from other countries. Don’t forget you’ll need to use the VPN app from ExpressVPN or one of the other providers and connect to the country of the app you want to use to actually make use of the app once it’s installed. Also remember to change your country settings back or you’ll be blocked from installing apps from your original country. Using an Amazon Fire Stick or Fire TV in New Zealand is really simple. To do this you’ll need to get a VPN app from a provider like my recommended one, ExpressVPN. Simply visit the ExpressVPN website and sign up for their service. When you’ve signed up download their app directly on your Amazon Fire Stick or Fire TV. Then connect to the country you bought your Amazon Fire Stick or Fire TV from. You’ll now be able to use most apps on the Fire Stick or Fire TV. It’s well worth signing up for ExpressVPN’s 12-month deal. They give you 3-months for free on top. This makes it 49% cheaper than if you pay monthly. Oh, and if you’re worried it’ll be too difficult or won’t work, there’s a massive 30-day money back guarantee making it totally risk-free! Are you struggling to get it working? Let me know any issues or feedback you have in the comment section below. I would love to hear your thoughts.